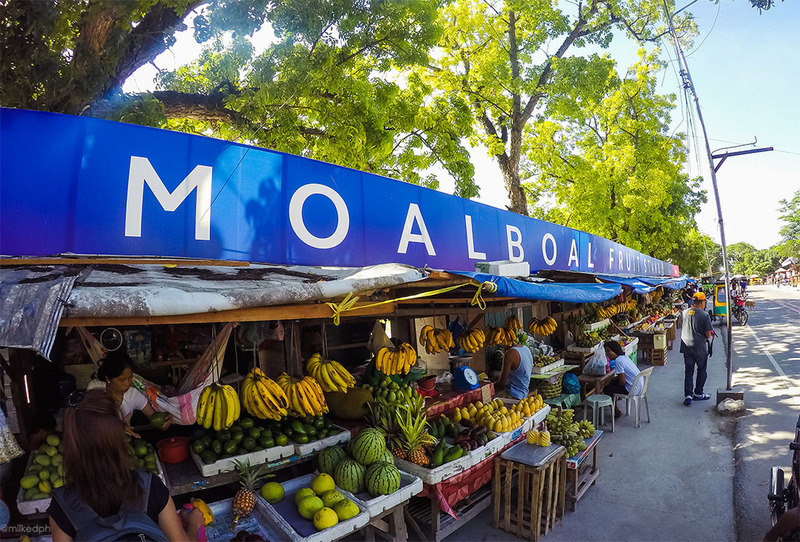 Moalboal is a known tourist destination because of its amazing marine life and beautiful white sand beaches. Pescador Island in Moalboal is considered a paradise for divers because of its beautiful corals and different marine species. Moalboal is around 89 KM from Cebu, the town next to Alcantara and before Badian. It is about 2 to 3 hours travel from the city. 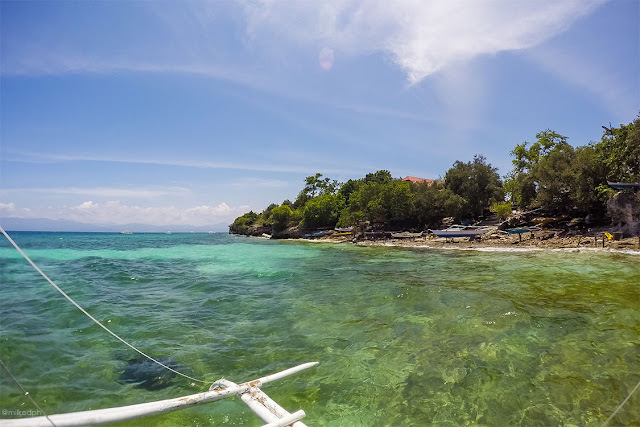 There are two popular beaches in Moalboal which is Panagsama and Basdaku White Beach. Both beaches are around 3 to 5 kilometer from the main road. UV Express/vans are faster than the bus. Its around 2 hours travel time. If you are looking for a place to relax and just go beach bumming, you should go to Basdaku White Beach. But if you wanted to go diving or snorkeling, then Panagsama beach it is. Most affordable rooms also are found in Panagsama beach. 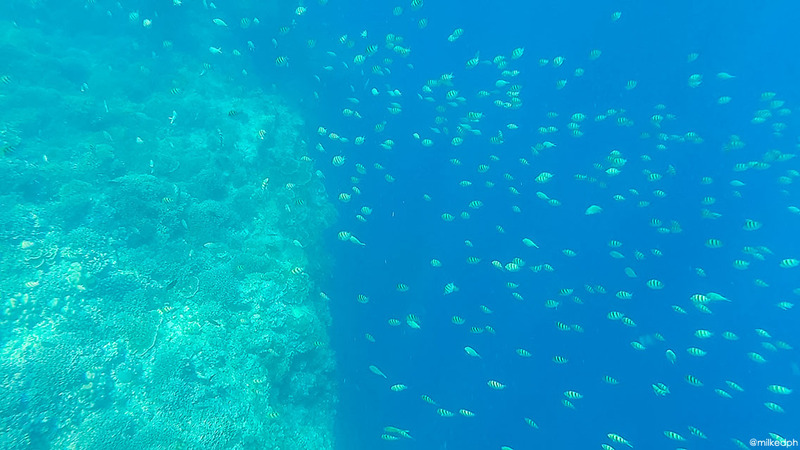 There are a lot of diving center and resorts around Panagsama. 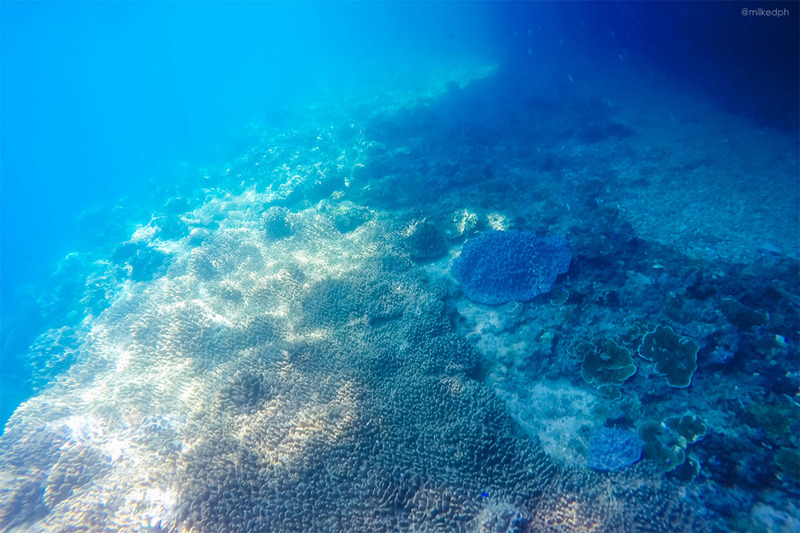 For first time divers, the price starts usually at PhP 2000.00 per diver and there's a discount for the second dive. 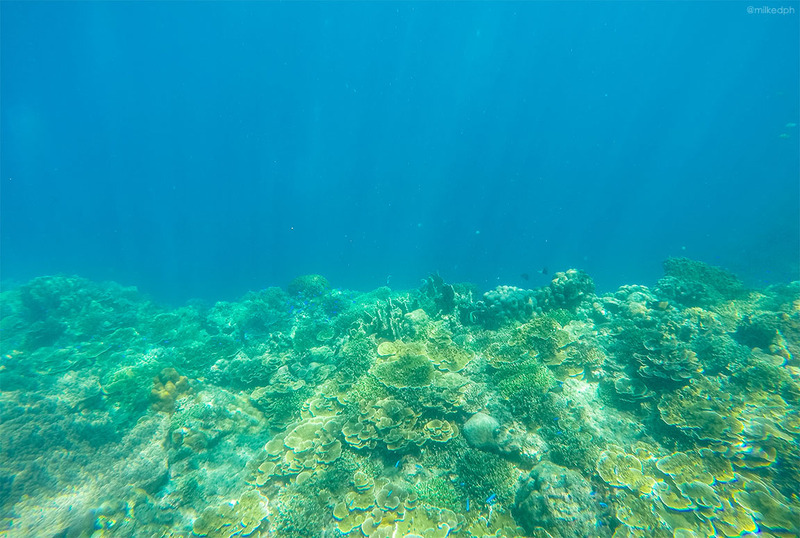 If you are just going to go snorkeling, you can hire a boat for PhP 1800.00 including the snorkeling gears, which is good for 4 persons. You can try to haggle with the price of the boat. Around 10 to 15 minutes from the shores of Panagsama beach is the island of Pescador. It is a small island that no one resides. 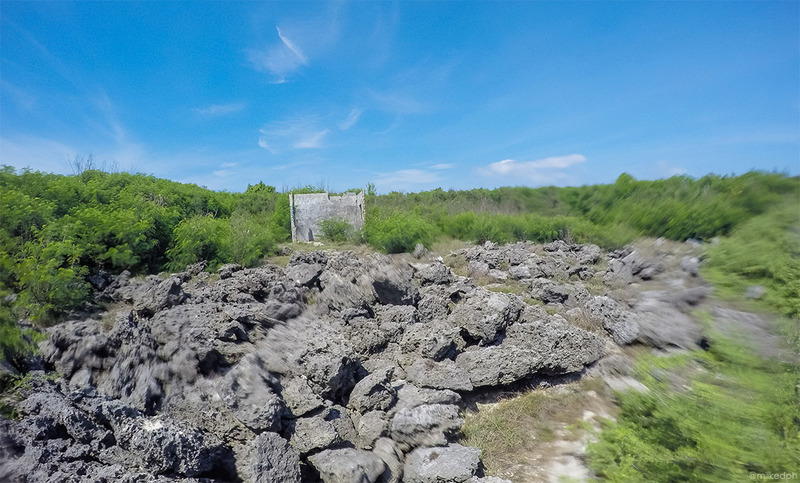 This island is where the main diving spot is. The best way to see the island's marine life is by scuba diving since there are fewer corals and small fishes only are seen by just snorkeling. After the snorkeling in Pescador Island, we went to the spot where thousands, or probably millions of sardines are. 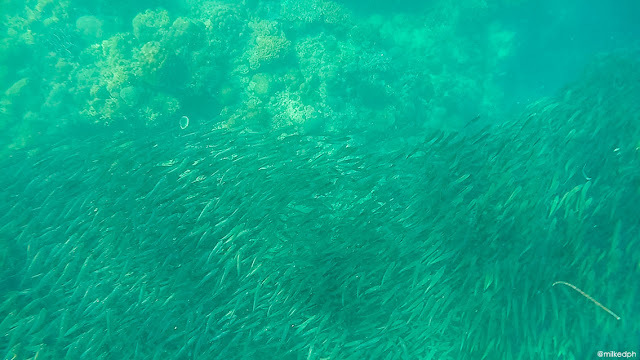 At first I was wondering if we could see them even though we will just be snorkeling, but when we reached the area, I see in the water a big dark spot that I thought was just seaweed. When we jumped into the water, the dark big spot was actually the sardines. I was just amazed by it. The area is protected and net fishing is not allowed here. I am really amazed by it. 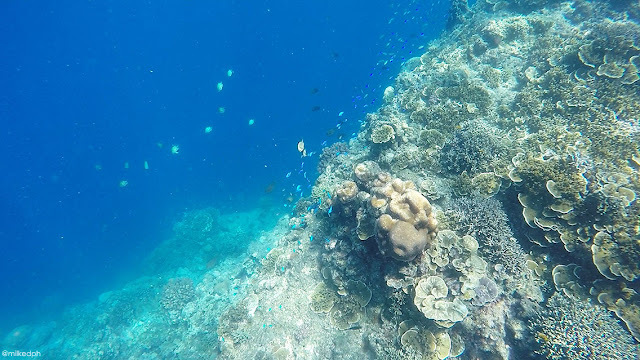 Moalboal is really blessed with a rich marine life, I haven't explored much of the town, but I'm sure it has more to offer. Thanks for reading! 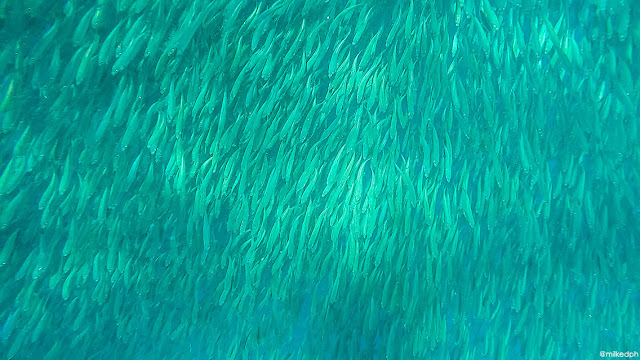 The sardine run is amazing! Didn't you get to go to the Pawikan Area? Yup, really amazing! Unfortunately, the waves are a little strong so we didn't have the chance to go there. 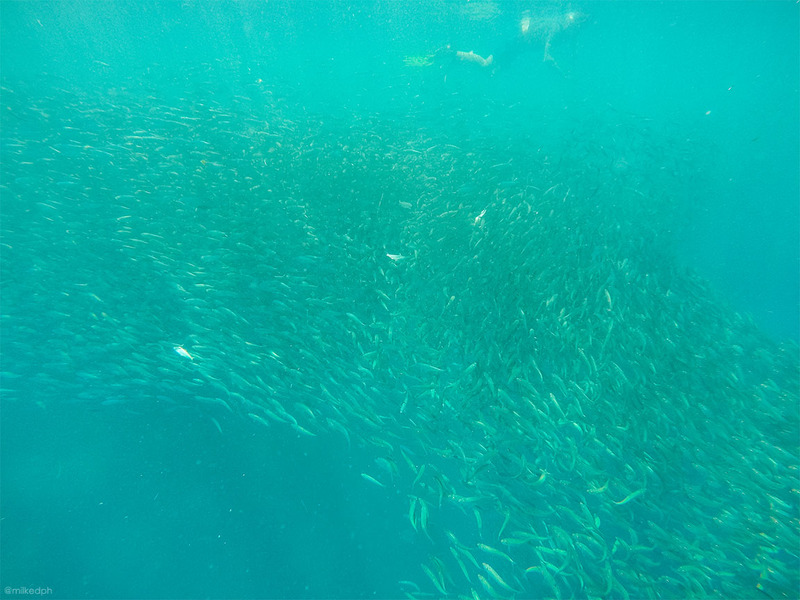 Do you have to go diving to see the sardine run or snorkeling will do? 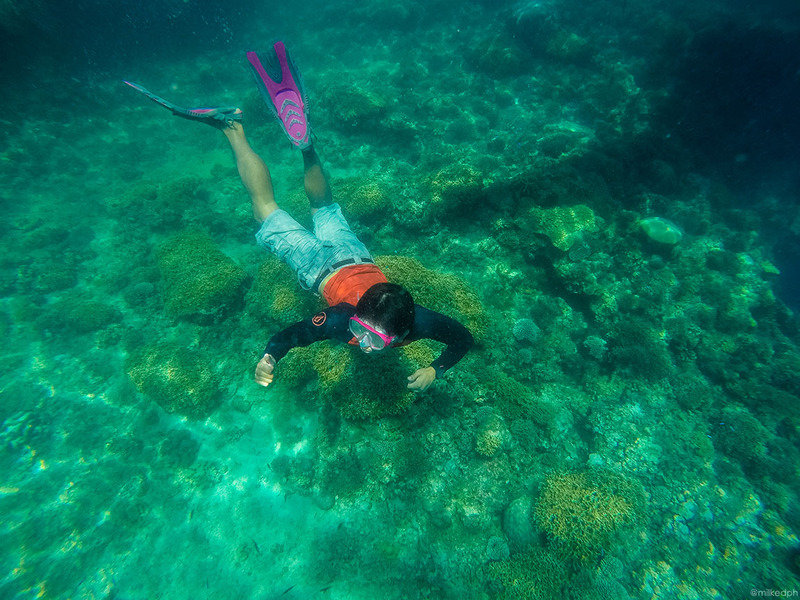 Astig ng free diving. 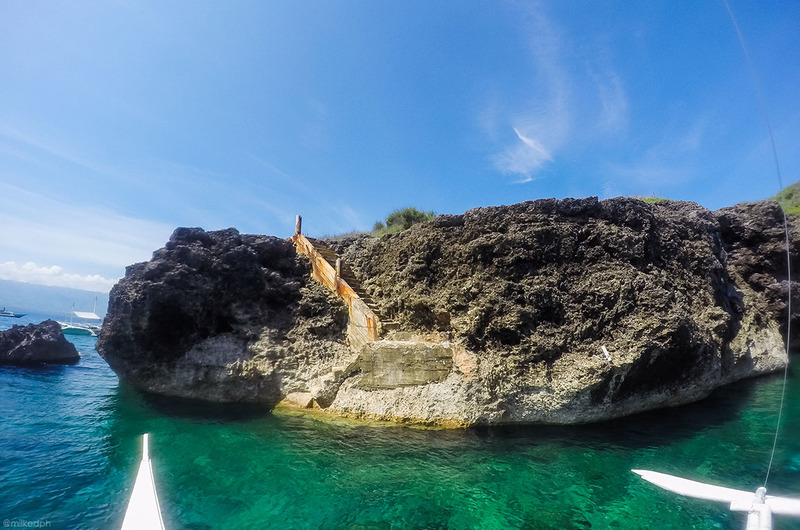 Thank you for sharing your Moalboal adventure. You're welcome Chris, Thank you for reading! Hi. May contact number ka ng bangkero? Dalawa lang kasi kami and yung mga prices ng tour packages online eh super mahal. Doable ba sya kung alis ng mga 4:00 am sa cebu City then back by night time sa City. 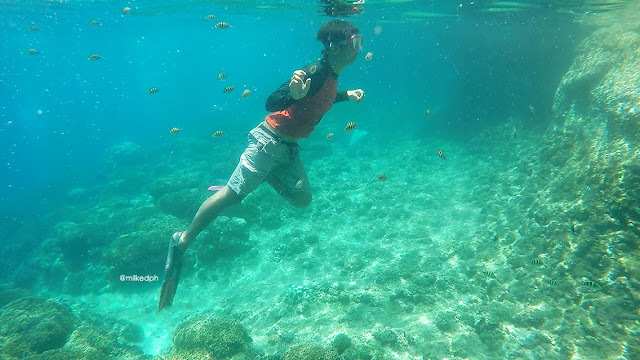 Magsnorkeling sa Pescador lang talaga yung maintarget namin. :) thanks! Hello. 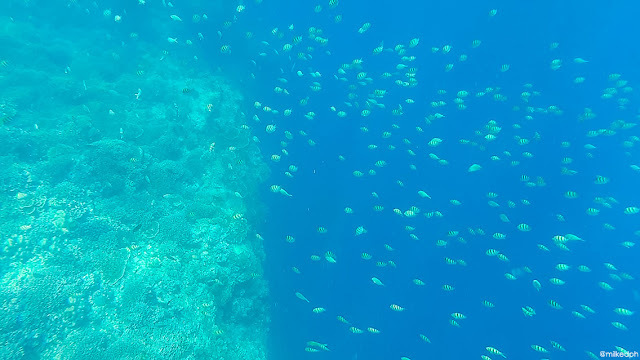 Ang nanagyari sa min, nagbus kami to moalboal, then nagtrike to Panagsama. If you are expecting na parang El Nido or Palawan na may mga packages ng tour, hindi sya ganon. Pero nung day na andun kami, may isang group of 6 na magPepescador Island. Sumama lang kami sa kanila. 400/pax binayaran namin. Tapos may sumabay pa rin na 2 pa. Yung 2 pa na yun, inaya naman nila kami na magcanyoneering. 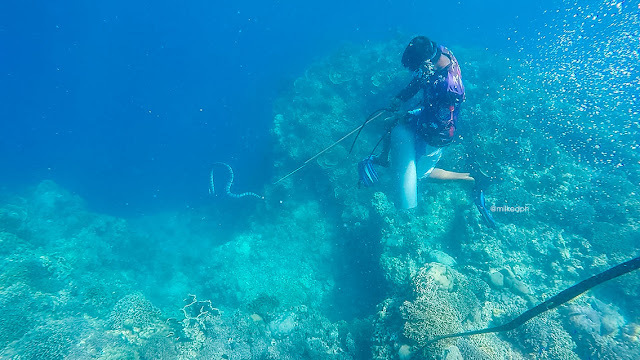 Same na kuya sa Pescador Island at Canyoneering yung kinausap namin. Di ko na masyado matandaan how much. around 1400 yata. Wala akong contact number ni kuya eh. Sya na rin yung naghatid sa min sa sakayan pabalik ng Cebu City. Bale 4:30 Am kami umalis ng Cebu city, by 7:30 nasa Panagsama na kami. Then yung pauwi naman, 7pm kami nakasakay ng bus, 10pm kami dumating sa city. do you have the contact details of the boatman you hire going to pescador island? Hi! Do you think going canyoneering in the morning then the Sardine run afterwards is doable if we have to be back in Cebu Airport by 6pm? Thank you! I think you'll get stuck in the traffic going back to the Mactan Airport. They're fixing one of the Mactan-Cebu bridges and I've heard horror stories about the traffic. True, it's very risky. 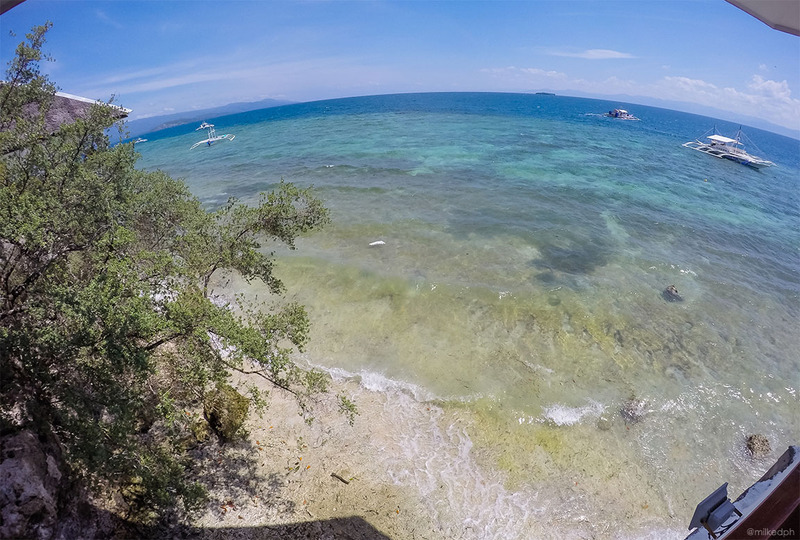 Moalboal to Cebu is around 2-3 hours and that doesn't include the travel time from the city proper to the airport. Hi there, around 3 to 4 pm is I think a little late. Also I'm not sure how are the waves are doing that time. If you can start around 1 or 2 pm, it's much better. 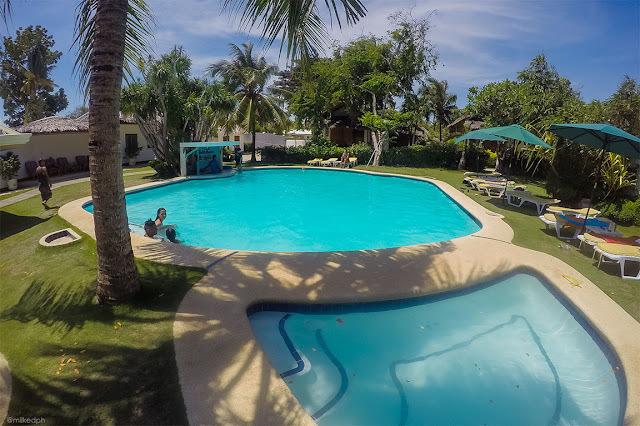 You can also go the next morning but you need to start very early, say around 6 am, since traffic going to Cebu is really bad and you need to allot 3-4 (or maybe more) hours from Moalboal to Cebu. Hi Khim, I thinks it's very time consuming at medyo nakaka-pagod din. Coming from Oslob back to the city might take your 3-4 hours na, so parang konting time nalang ang ipag-sstay niyo sa hotel sa city. 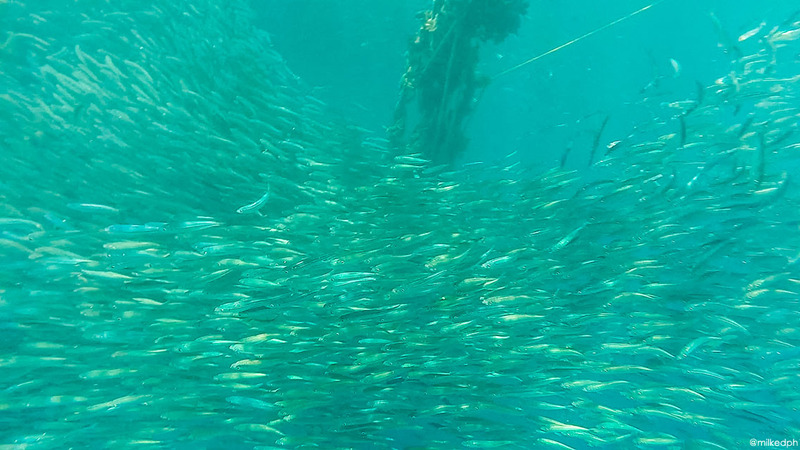 may i know what is the best time to go to pescador island and do all this things? and how long did you stay there? Hi Carmela, Best time to go there is in the morning where waves are still small. We stayed there around half a day only. Hi Mike, am waiting as well for your answer to Honey Gladys' inquiry. Thanks! 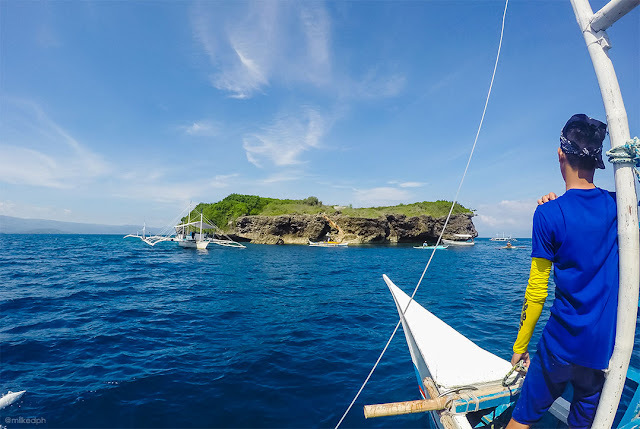 Yung 400/pax sa Pescador Island tour, kasama na ba dyan yung boat nyo or yung tour guide fee lang parang ganun? Thanks! Hai! May i know what time usually it will finish as i am thinking of catching the bus to Cebu City after that. Hi Dyla, if you started around 8 or 9 am, it is usually finished before 12 noon. Hi,may i know how about free diving. How much must pay included boat? If sknorkeling price only? Hi Farhan, we got the boat for P1800 with snorkeling gears and is good for 4 pax. Hi there, it depends on how many your are in the group. if you are only 2, then its okay na din. but for 4 or more, P1600 is the standard rate for canyoneering, then you can rent a boat for 1800 good for 4. Hi Mike, awesome blog by the way. Say, you think we could squeeze in the kawasan canyoneering and pescador island snorkeling in a day, we are planning a DIY trip 5n4d in cebu. any tips for us? 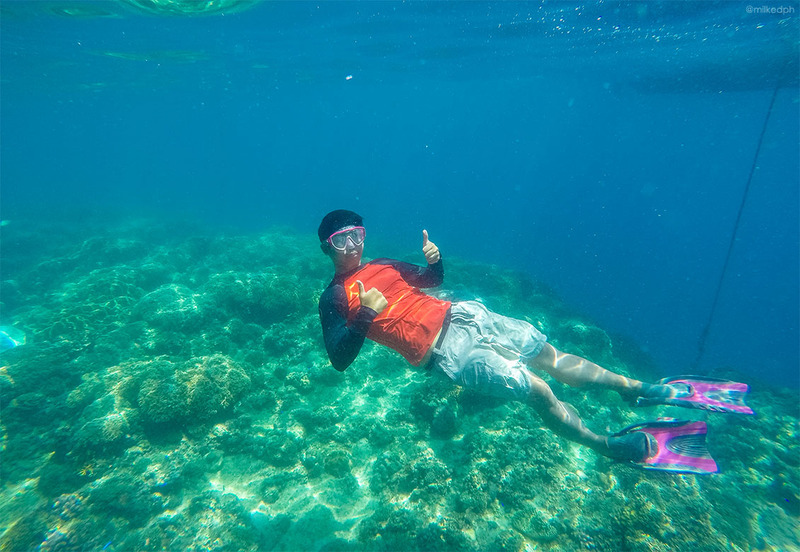 Hi there, sorry for the very late reply, It is possible, just do the island hopping first on the morning, but be sure to finish before 11 am, then you could travel to Badian at 11 am and be there around 1 PM so you could still do an afternoon canyoneering. Hi mike, is it possible na mag moalboal island hopping kmi after ng canyoneering (option A) or mas okay kung island hopping muna bago magcanyoneering (option B)? if mas okay ung option B, gang wat time ung last trip papuntang oslob, don namin plan mag stay overnight para maaga sa whaleshark.. hehe..
Hi mike. I would like if if the 2k rate for diving includes the boat and is it both for pescador and panagsama? Also how many mins is it per diving? Hi there, we boarded the boat on Panagsama beach. 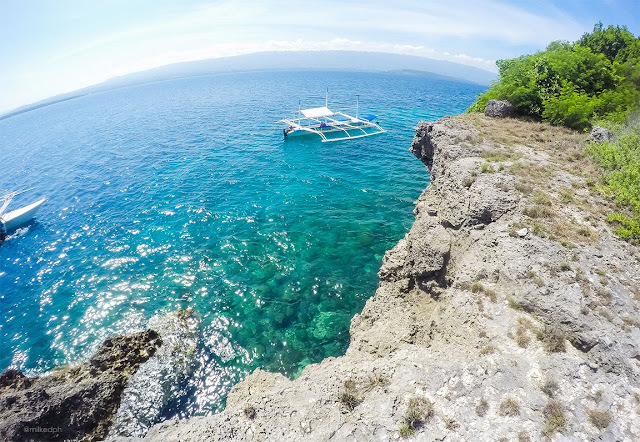 The boat price includes Pescador Island, Sardines run and supposed to be another snorkeling spot but the waves are strong at the moment. For the time limit on each destinations, it really depends on you so just tell them you want to go to the next destination. Hi. Kindly check naman po kung ok IT ko. can u suggest where and when ko pwde masingit kawasan falls? and sa pescador do u have contacts? Hello! Do you have any contact numbers for Pescador - canyoneering - kawasan?? Hi. How much do you spend for this tour? Kaya po ba ng day tour lang. Salamat po. 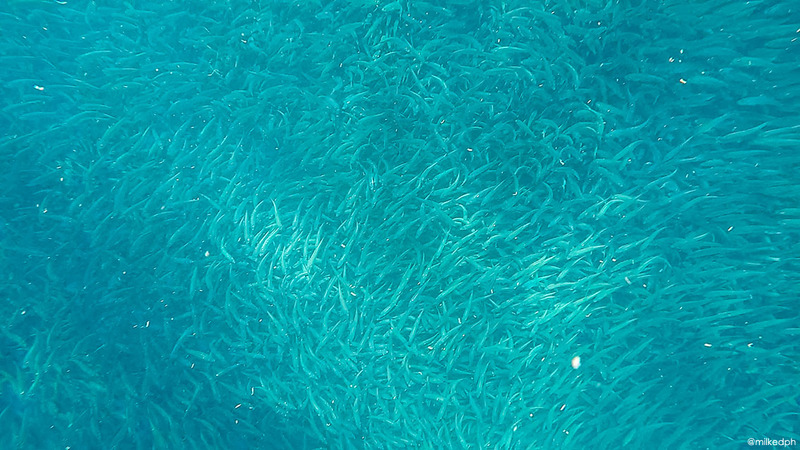 Hello ask ko lang po kung okay lamg magstart ang pescador island trip with sardine run ng 2pm po? pupunta pa lang sa moalboal on 10th sept. nabasa ko mga comments, na excite ako bigla.. sobrang helpful ng blog na to.. tnks!